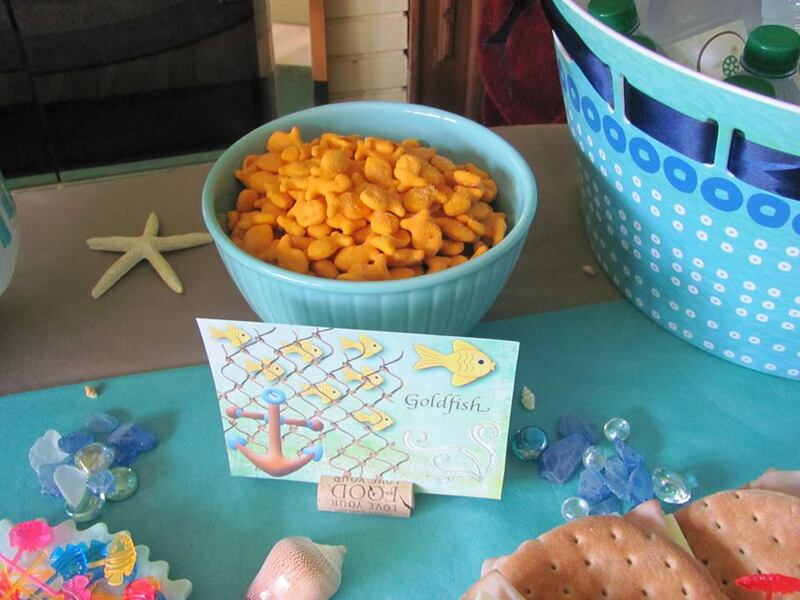 When a friend of mine asked me to make her a few things for her daughter’s Under The Sea themed birthday party, I was really excited. 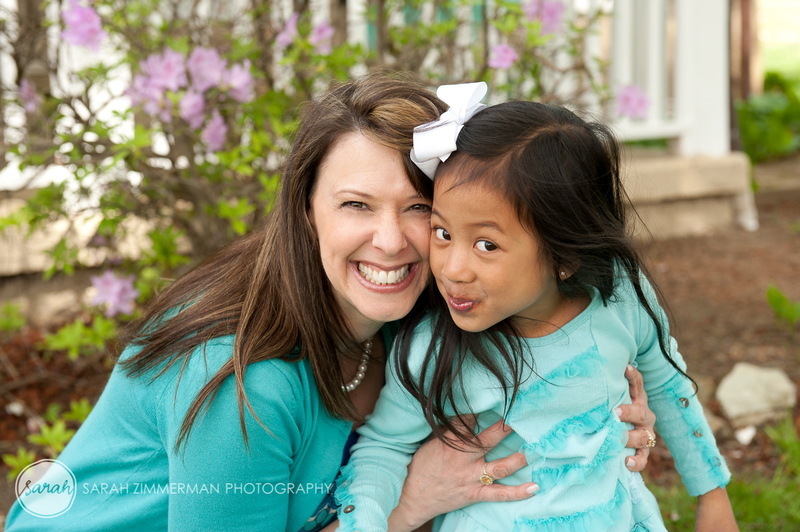 Wendy is a teacher, a writer, and very creative so I knew that whatever she did would be spectacular! 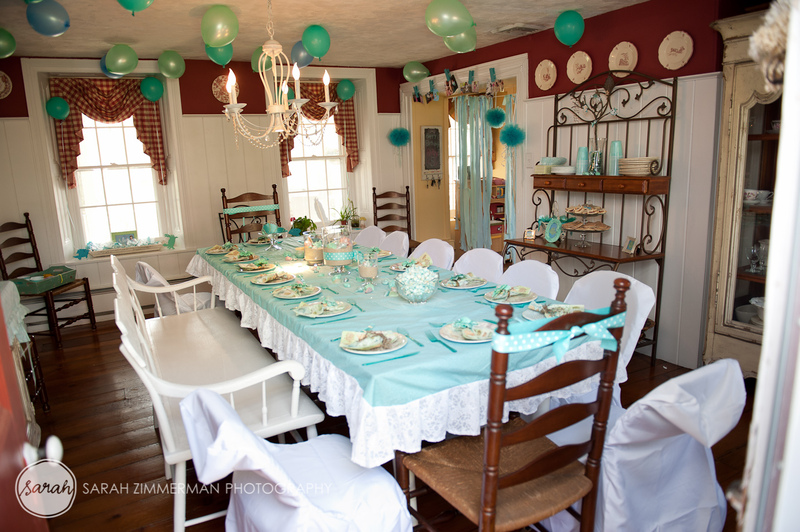 Well, she really went all out to create this fantastic & fun party! 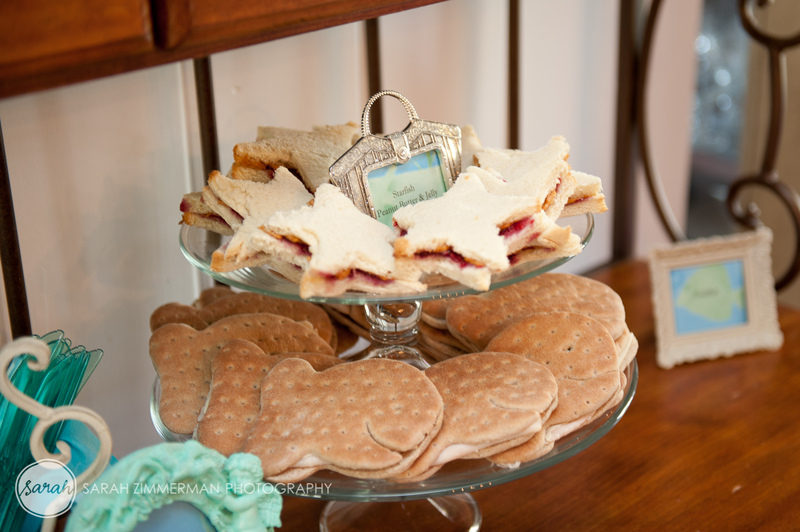 Pretty table display! 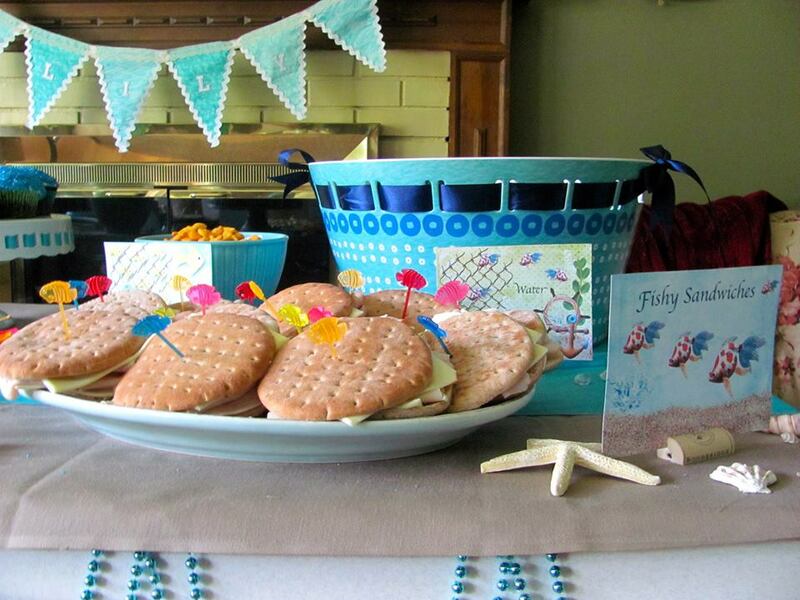 I just LOVE all the cute buffet cards she made and all the clever sea-related food! 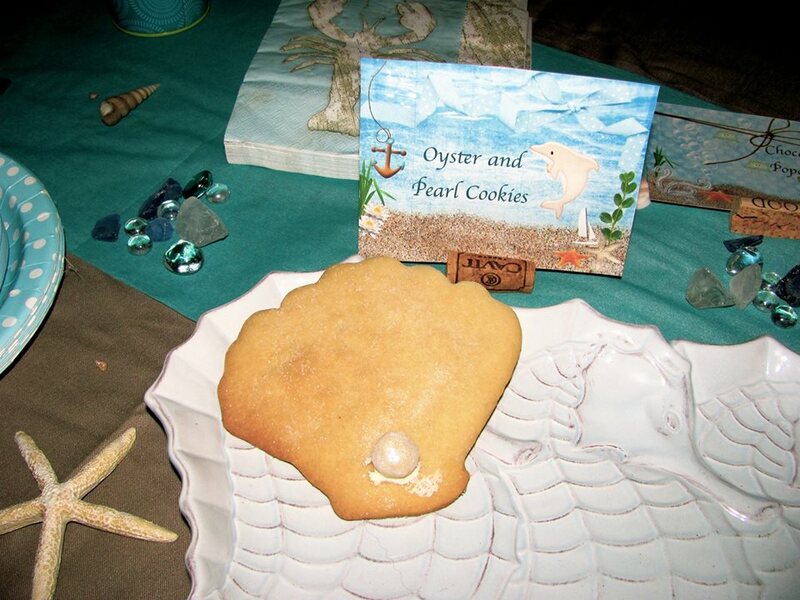 My favorite is the oyster and pearl cookies that this birthday girl made herself! 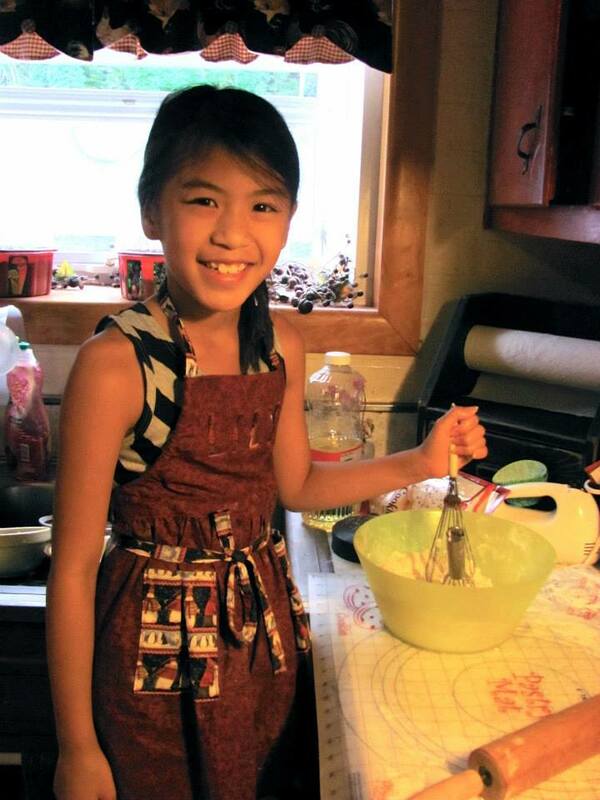 Go Lily! Is she a cute kid or what? And a sweetheart, too! 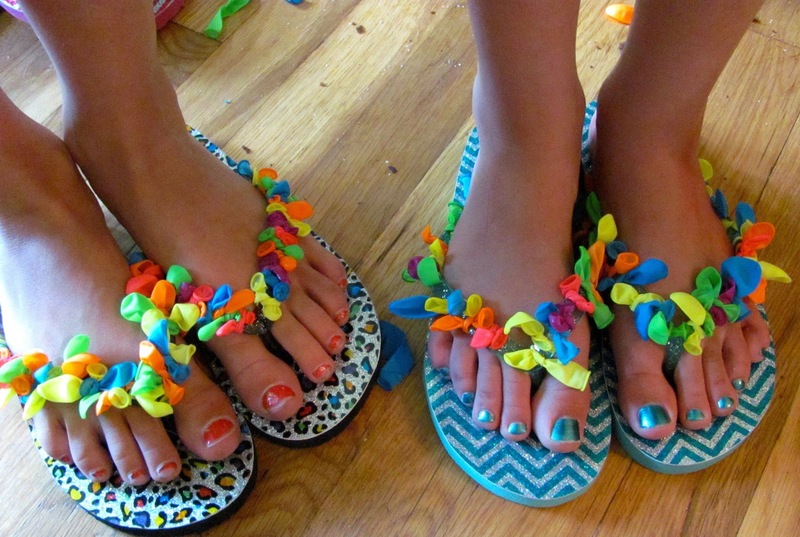 How adorable are these water balloon tied flip flops! Such a great idea! 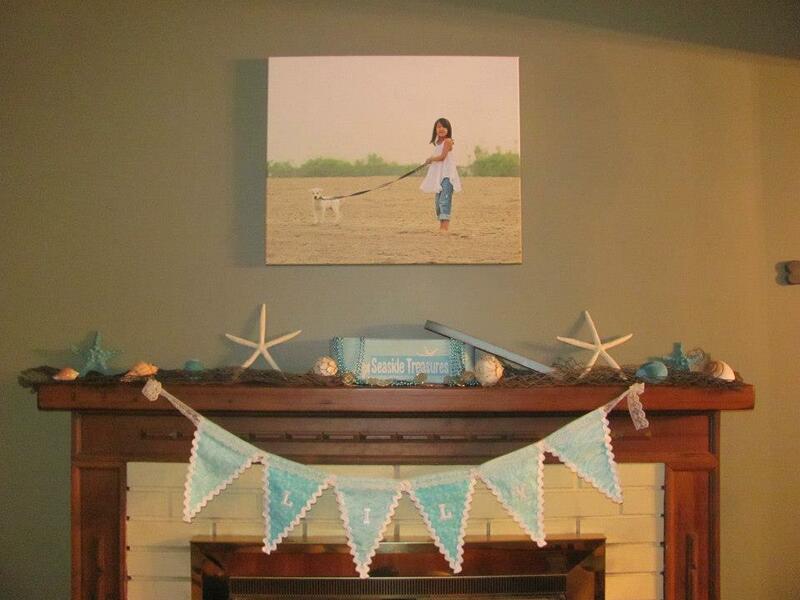 …and this hand made banner with Lily’s name on it. Available in my Etsy shop, Pretti Mini! Click on any of the links to take you to the shop! My pal, Wendy, did the rest! So much attention to detail! Great job! See Wendy’s blog here for more fabulous details! And thank you so much, Wendy, for being a friend and customer! 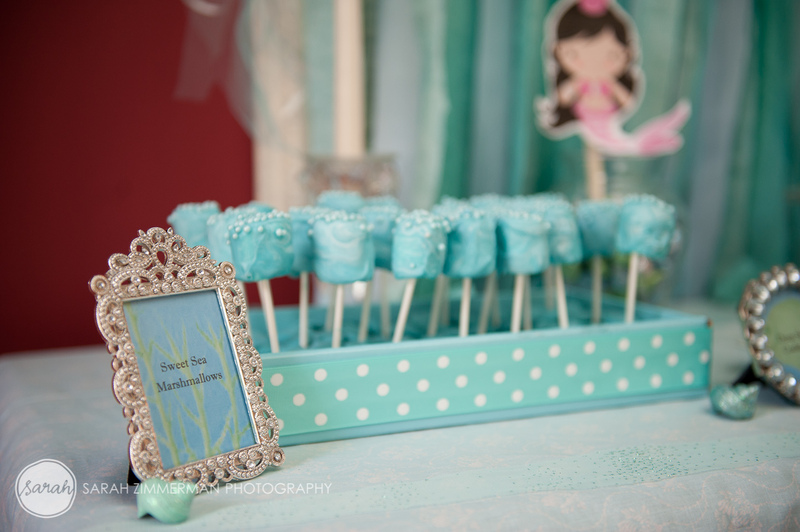 I had so much fun creating this mermaid party for my daughter’s 5th birthday! 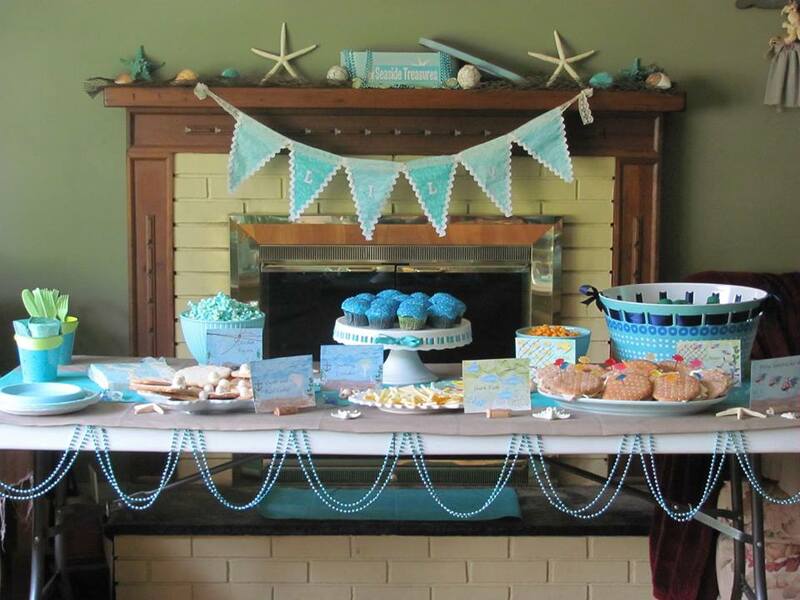 Her only requests were that there be sea shells and chocolate cupcakes. Easy enough! 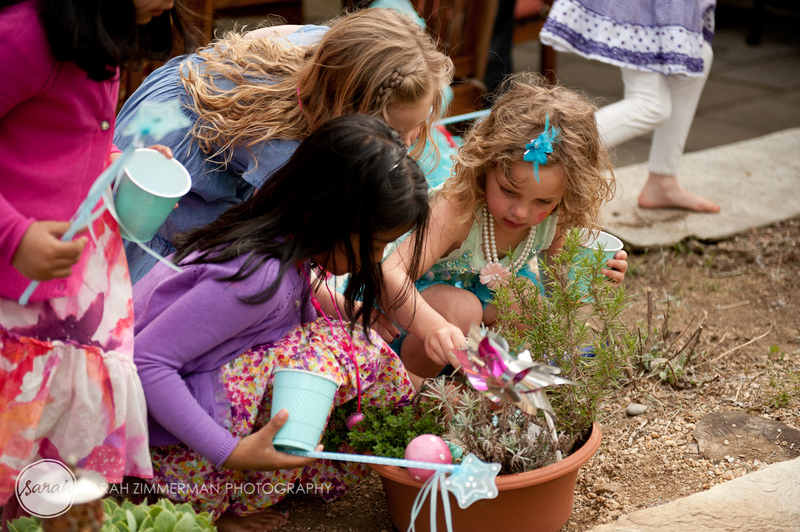 But, of course, this party planning momma couldn’t stop there! We started in the winter months and painted sea shells together. 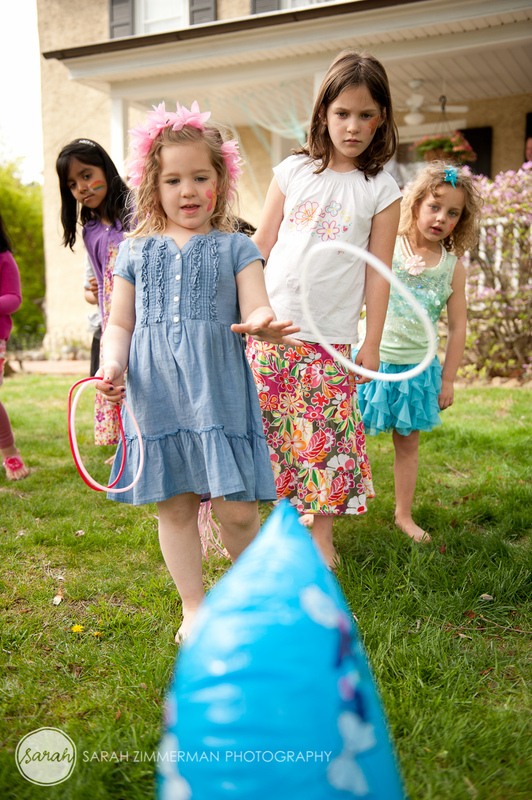 Such a fun thing to do on cold, dreary days. 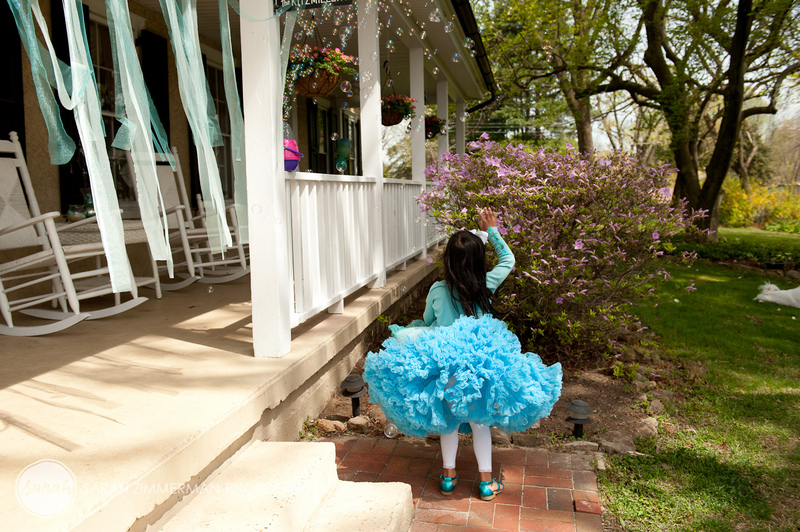 Made us day dream about Spring and her upcoming birthday. 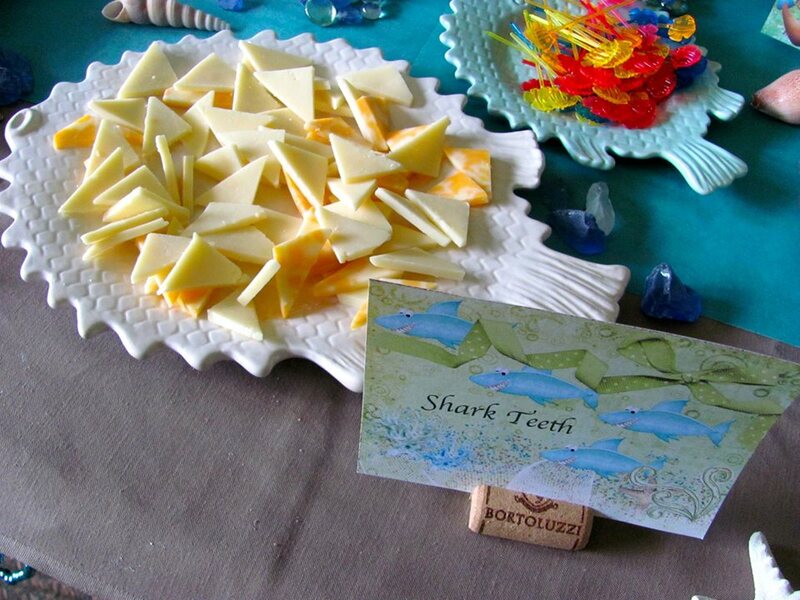 By the time it got here, we had enough sea shells to decorate the whole house! (And then some!) 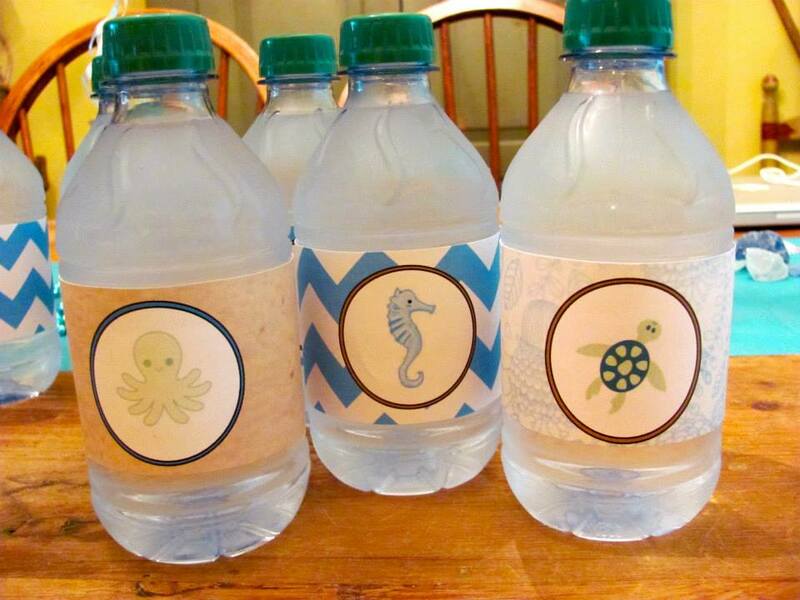 Found some adorable clip art on Etsy by Peach Pop to make signs and labels and there began our mermaid adventure! The magic started as soon as guests got out of their car. 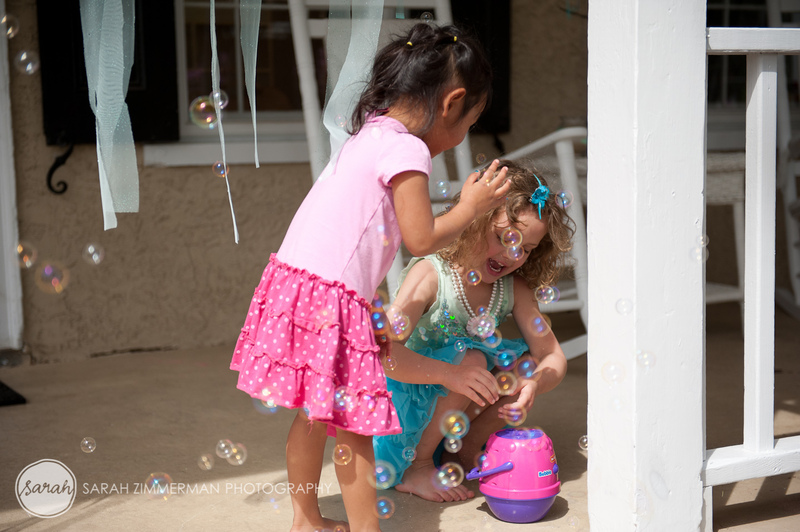 We had a sea shell garden, a bubble machine, and fabric “waves” hanging to create an under-the-sea effect. It sure wasn’t lost on these little ones! Inside, the table was set for magic. 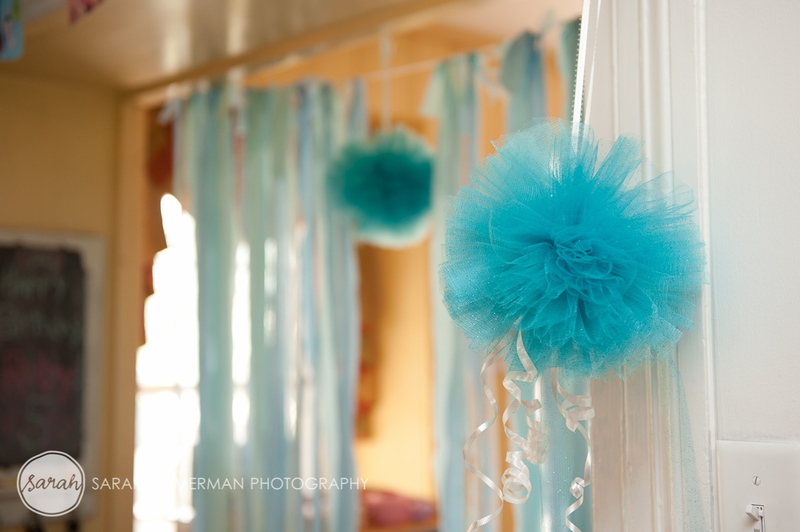 There were balloons and jellyfish and plenty of sparkle. 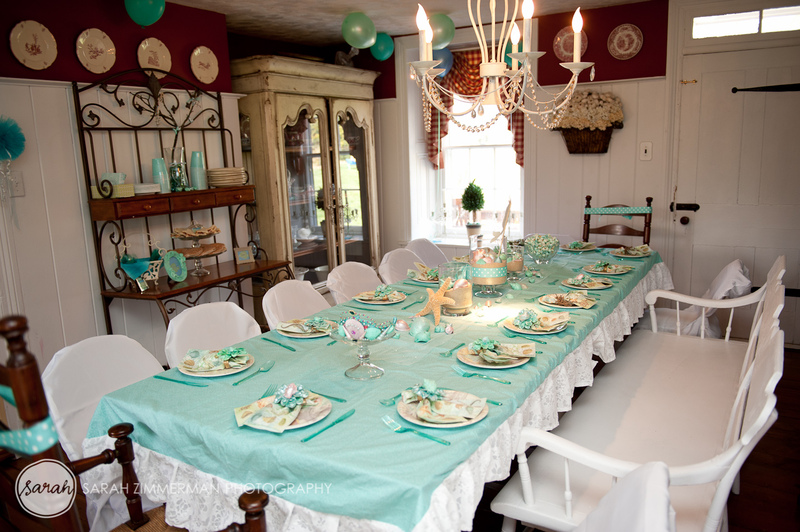 This is one occasion were I really wish my dining room wasn’t red! 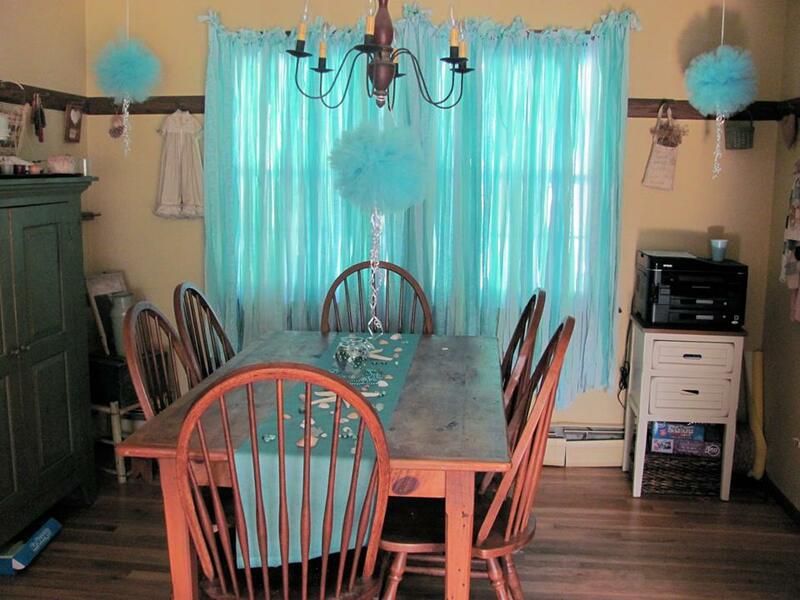 I seriously considered painting it white for the party but the husband vetoed the idea! 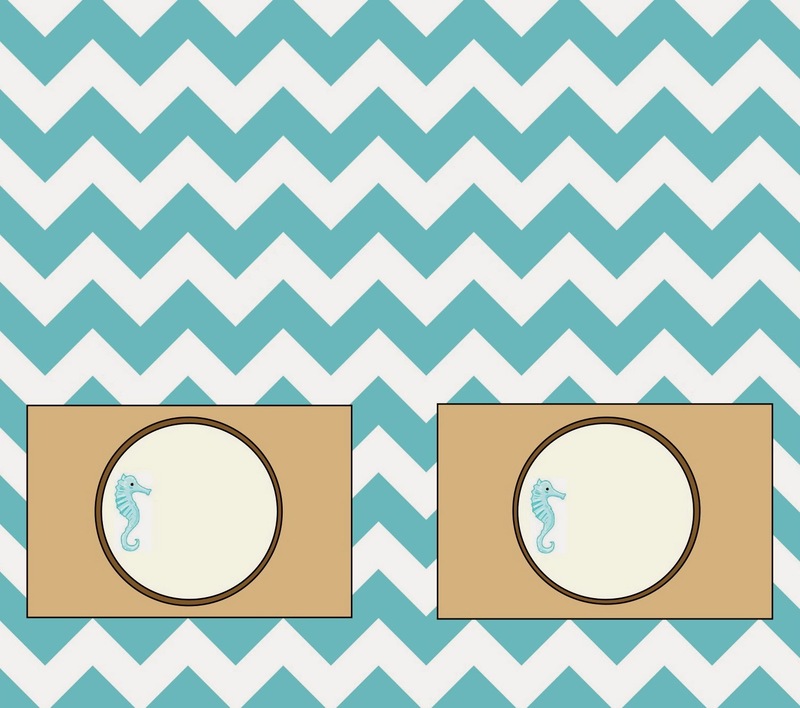 Loved these plates and found napkins that just happened to match. 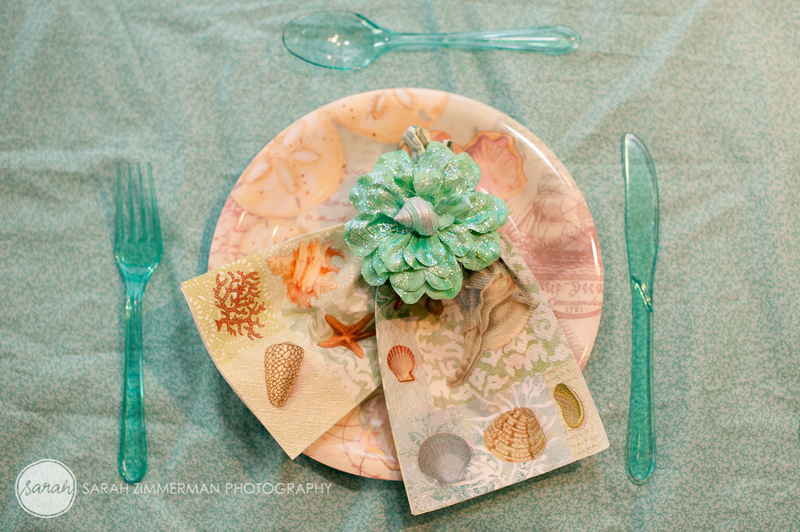 Hand painted the flower napkin rings, glittered, then hot glued a sea shells on each one. 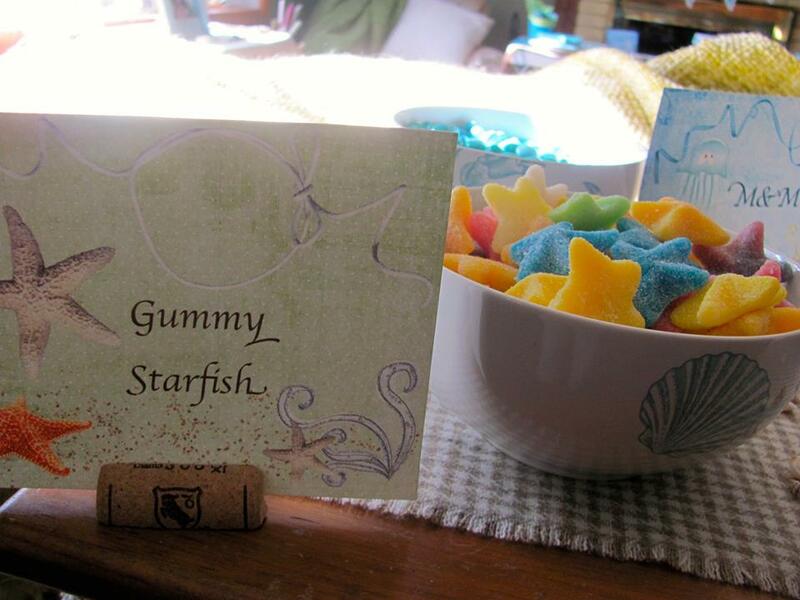 Sand filled centerpieces held sparkly shells, glitter, and a mermaid sign. Sea shell craft. 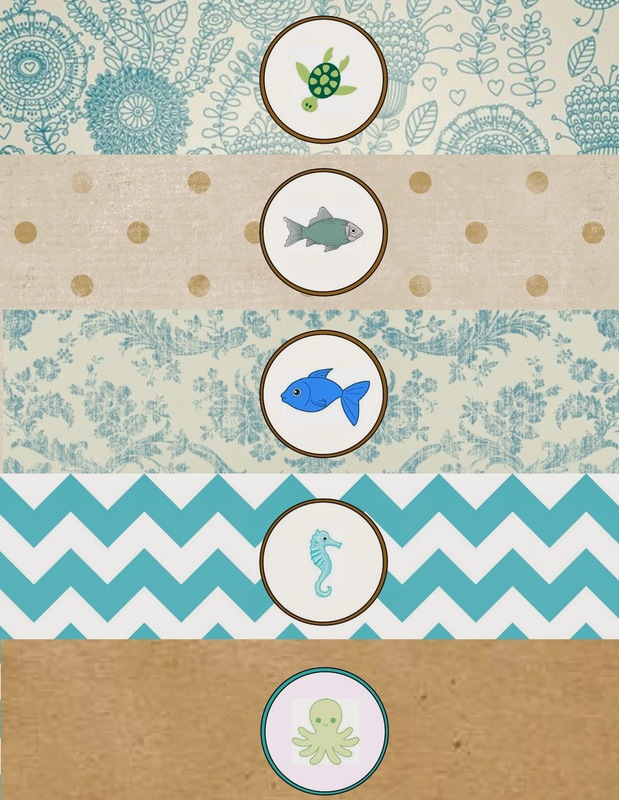 Pre-painted wooden & real shells in party colors. Girls glitter glued them and decorated with gems. Made a #5 for the craft room out of a hanger and bits of fabric left from other projects. 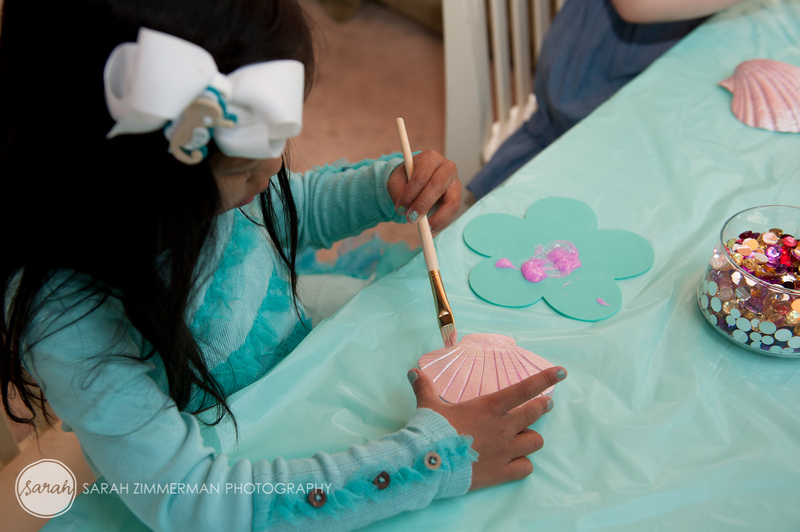 Love how the girls were so into the sea shell craft. 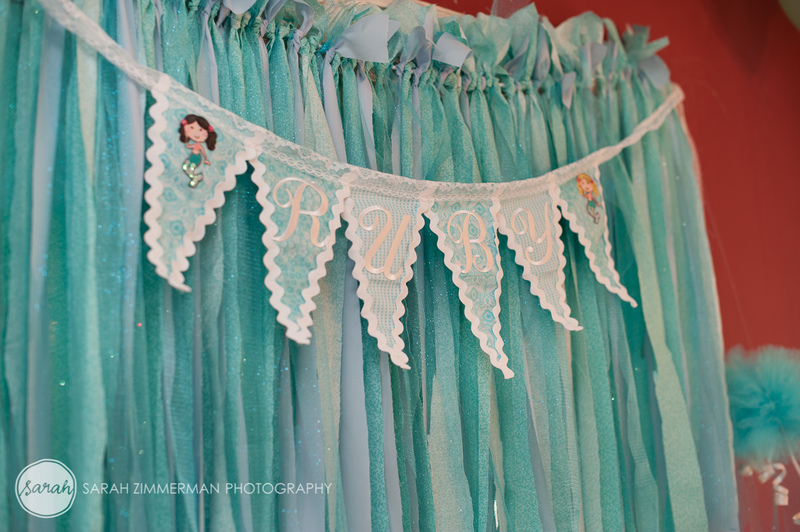 Hand made birthday bunting and fabric backdrop. 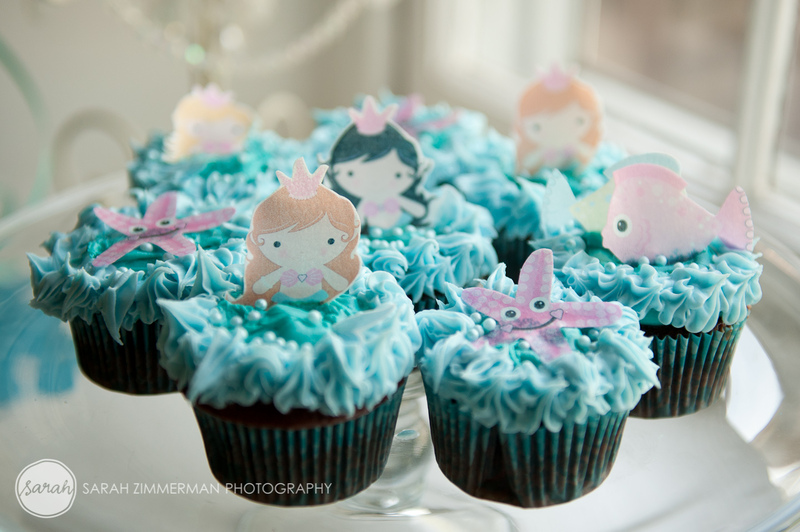 Chocolate mermaid cupcakes were made by me, but the fab cake toppers are by IncrEDIBLE Toppers. Too cute! 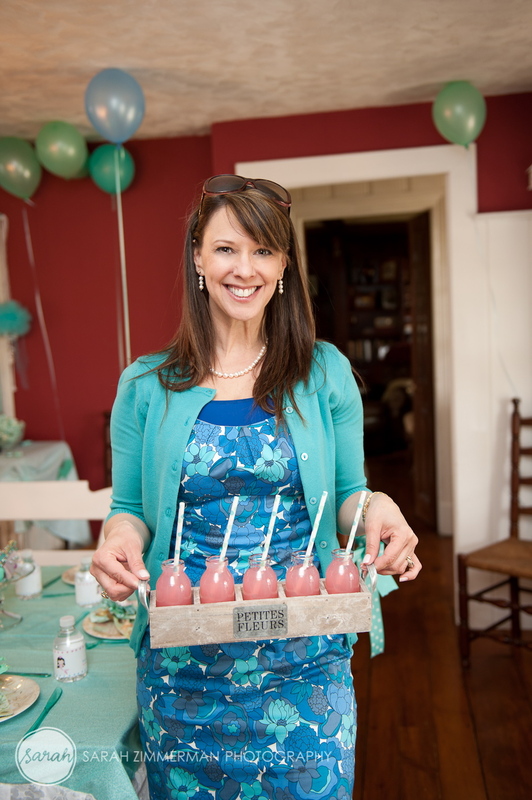 Pink lemonade served in mini milk bottles and paper “bubble” straws by The Sugar Diva. 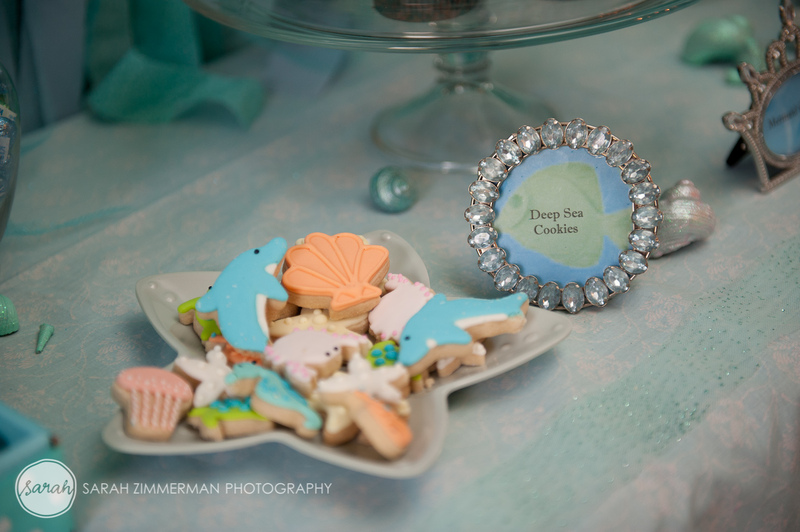 Deep Sea cookies by A Cookie Jar on Etsy. 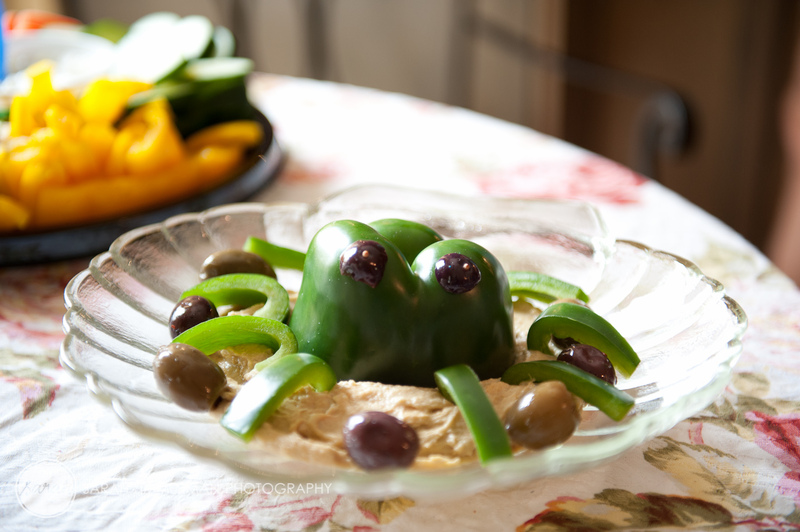 As yummy as they are cute! 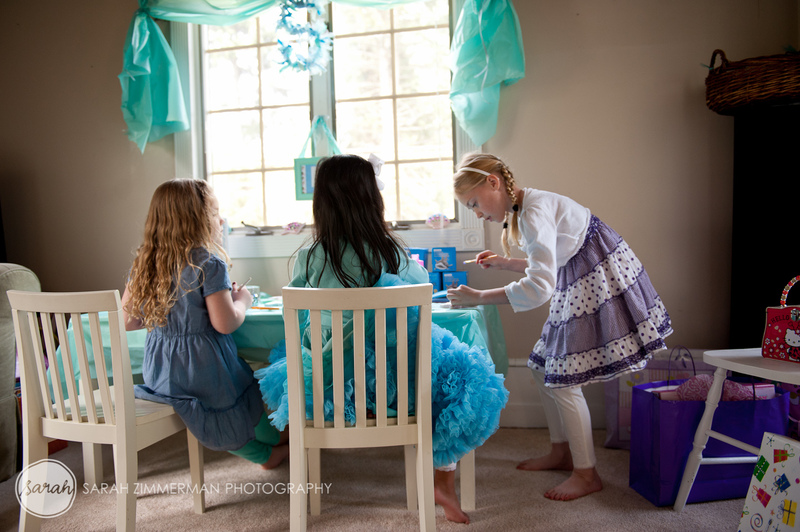 Ruby and her sweet friends got a surprise visit from Ariel! 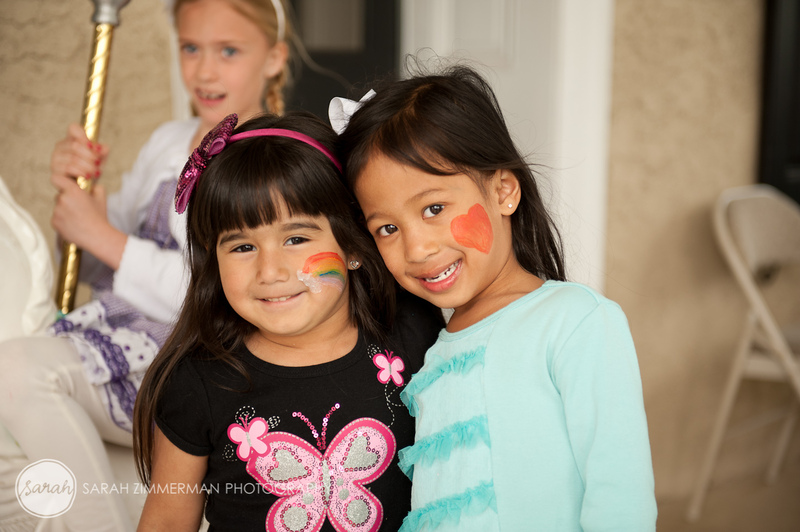 There was face painting and smiles among friends. There were giggles and games. 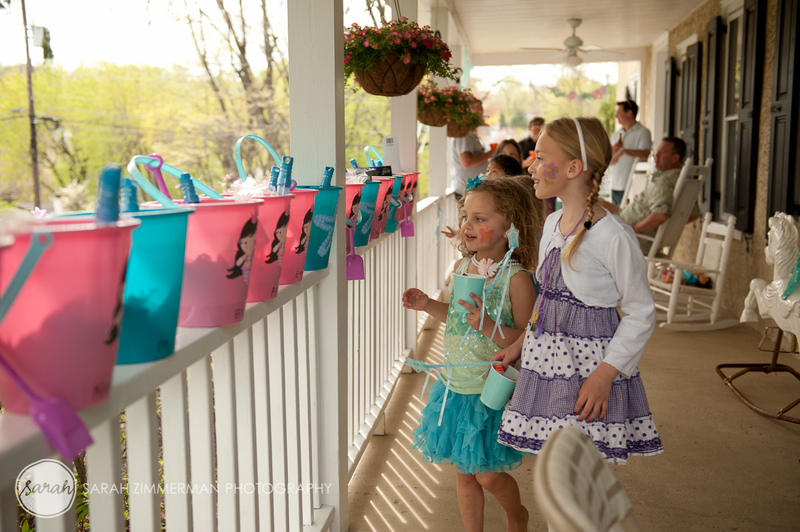 …that eventually led them back to the front porch where their “sea” pails were waiting…filled with bubbles & goodies. And, of course, there was cake and singing! 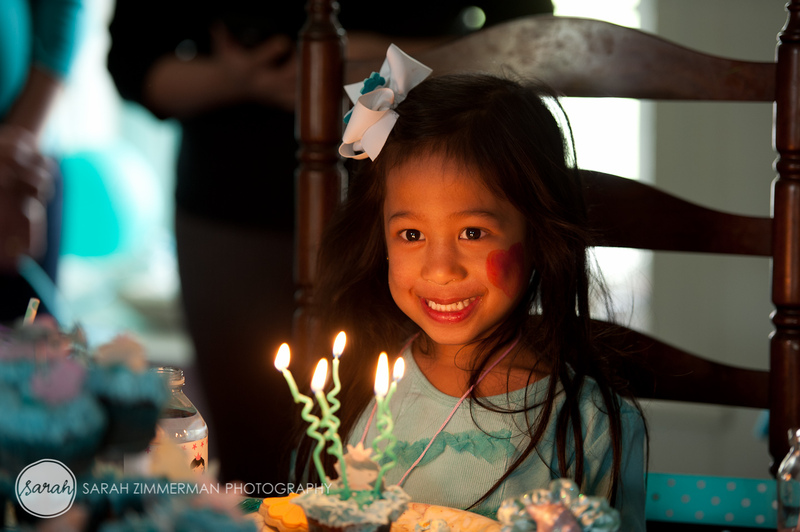 A very happy day for my sweet pea! Happy 5th Birthday, Ruby! 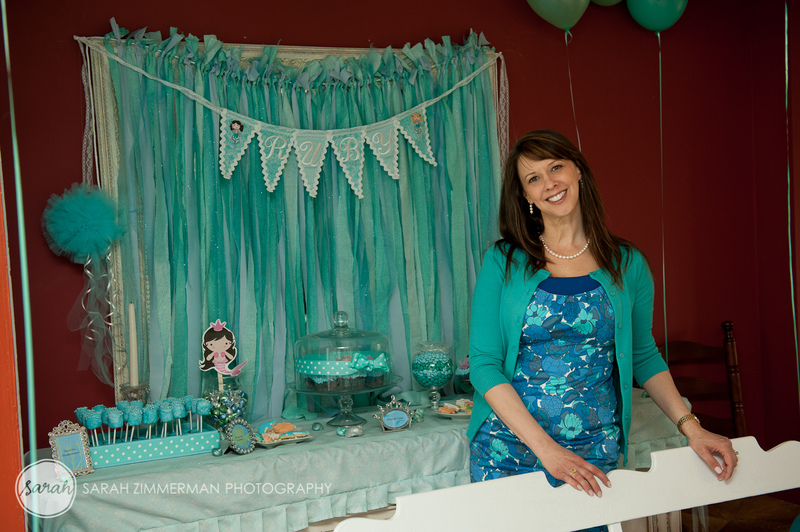 A HUGE thank you to my friend and very talented photographer, Sarah Zimmerman for capturing the day so beautifully! 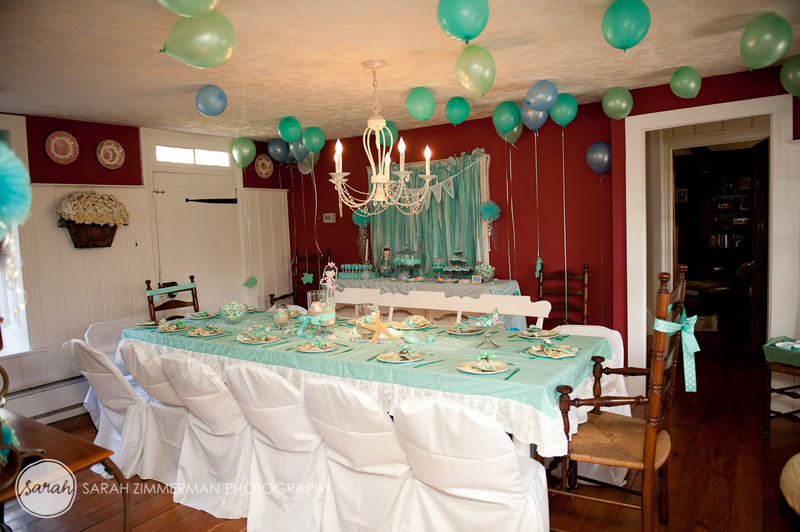 Party Design: PLAN ME A PARTY!